For over a year, a sculpture of a brave little girl stood facing the ever-popular Charging Bull statue in Bowling Green. Those living in the Manhattan apartments around these two iconic works of art are about to see Fearless Girl move to a new, permanent in home near the New York Stock Exchange. This change comes as a surprise to many. Here’s why Mayor Bill de Blasio and State Street Global Advisors decided to make the change, and how this statue will continue to further its message in a new location. There’s been a lot of buzz surrounding this change due to the original reason the statue was commissioned. 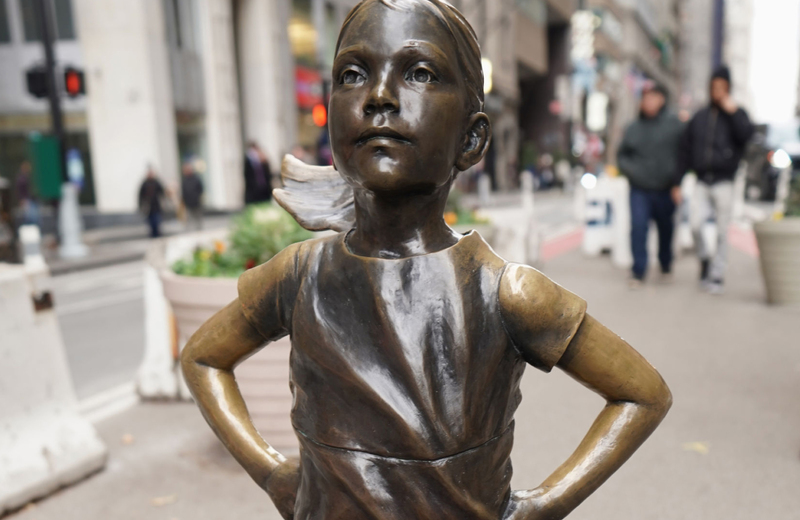 On International Women’s Day last year, State Street Global Advisors decided to show their solidarity with demonstrators by installing a bronze statue of a young girl standing in defiance, fearless in the face of the Charging Bull. Designed by artist Kristen Visbal, Fearless Girl is part of State Street’s movement to pressure companies into being more inclusive. Numerous companies in the Russel 3000 Index, which comprise over a quarter of the total 3,500, only feature men on their boards. 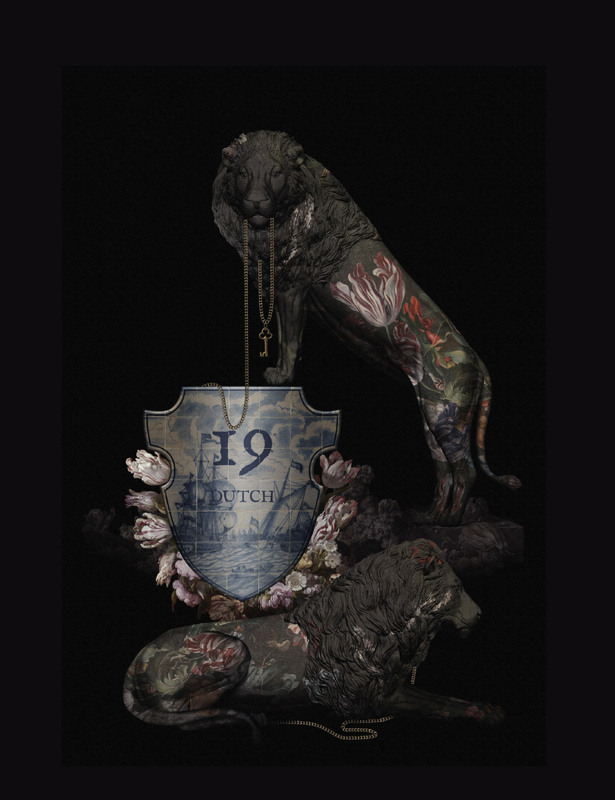 Bold and commanding attention, the sculpture’s message was well received. Since the statue’s commissioning, more than 150 of those companies have added female directors to their board. Once again, America can count on the southern tip of Manhattan to create the waves of change. Fearless Girl was controversial from the get-go. The move by State Street was not a passive one, but it wasn’t meant to be. The statue’s message was designed to call out companies on their inequality, which still exists today. Even as Fearless Girl finds a new home staring down the New York Stock Exchange, the same company that commissioned her finds themselves paying $5 million to settle allegations of underpaying female and minority employees. Critics have pointed out that the statue may have simply been a coverup for these practices, though State Street denies those allegations. At the same time, Arturo Di Modica has been fighting to have the statue removed since she was commissioned. He argues that it tarnishes the true message of his Charging Bull Sculpture, which was created in 1989 after the ’87 stock market crash. Modica argues that the bull is meant to inspire New Yorkers as well promote a better America, saying that Fearless Girl turns his work into a villain of inequality. Despite these two critiques, the real reason behind the change is that Fearless Girl’s permit has expired. She was initially supposed to stay in Bowling Green for a few days, but the way she resonated with New Yorkers caused official to extend her permit to a year. This devotion, which went so far as to dress the statue for warmer weather, also caused a lot of crowding in the area. Officials viewed this as a safety risk, which also factored into the move. Since extending the permit, officials have been actively working to find a new home for the statue. New York Stock Exchange president Thomas Farley, Mayor Bill de Blasio, and State Street Global have decided that Fearless Girl could best continue to spread her message while standing outside of the stock exchange about three blocks away. The move is meant to be permanent, encouraging change in the some of the highest levels of corporate America. By placing her closer to the companies she’s meant to influence, many have high hope that more companies will follow suit with the 150 that have already hired more women onto their boards. Kristen Visbal, the statues sculptor, hopes that Fearless Girl’s influence will extend beyond financial institutions. Visbal wants her message to expand globally, inspiring gender collaboration throughout every aspect of life and society. When most people think of New York City, they envision the towering skyscrapers of the FiDi neighborhood. This iconic location is renowned for spearheading global change and inspiring individuals around with world with its endless possibilities. With 19 Dutch, you can be a part of what makes this area so ideal. 19 Dutch ushers in the arrival of a new Downtown as a shimmering cultural jewel, dramatically updating the classic skyline of lower Manhattan. Welcome, warm, livable, these enviable addresses clad in glass tower 770 feet above the bustling streets. Comfort and convenience converge in these residences designed by GKV Architects through McCartan’s interior wit. Each home harkens back to the golden age of Dutch design, offering a whimsical romantic appeal. Floor to ceiling windows offer expansive views of FiDi while offering ample amounts of natural lighting. Cerused oak flooring compliments Bosch appliances and kitchens by Bertazzoni. Smart technology actively reduces your carbon footprint, while quartz countertops and custom vanities provide the finer touches of home. A selection of carefully curated amenities and features elevate the experience of luxury living at 19 Dutch. A twenty-four-hour-attended lobby provides full concierge and valet services, while the daily hospitality cart brings you the coffee you need to start your day. The fitness-minded can take advantage of a state of the art facility that accommodates yoga and boxing, while the work lounge and private meeting rooms cater to your business needs. The resident’s canteen, club lounge, and sky lounge with terrace gardens provide the ultimate in after-work relaxation. Both the café lounge and demonstration kitchen can help you start your day or night, while the media center provides a way to stay in touch with the world as you unwind. Our on-site bike storage makes it easier to get around the city, as does 19 Dutch’s close proximity to key subway lines. We invite you to experience the vibrant, progressive neighborhood of FiDi and all of Manhattan like never before. 19 Dutch is redefining city living with premier luxury and the finest conveniences. Welcome to the arrival of a new Downtown. Welcome to the homes at 19 Dutch.